Homer R. Bailey, Jr., 85, of Portsmouth died peacefully October 17, 2018 surrounded by his loving family. Born May 19, 1933 to the late Homer Sr. and Gladys Bailey of Coles Park, he married Suzanne (Jones) on September 28, 1957. Together, they had 5 children: Rich (Kathy), Melinda (Joe) Lyons, Jay (Paula), John (Jane) and Lori. He was the proud grandfather of 8, Jason (Andrea) Bailey, Tara (John) Charlton, Andy Bailey, Courtney (Joe) Maiden, Taylor Bailey, Joseph Lyons, Emma Bailey and Evan Bailey, and a great-grandfather to 5, McKenzie and Elijah Bailey, and Trent, Klair, and Alice Charlton. Homer was preceded in death by a brother, Ken, and survived by a sister Joyce Bray and brother, Wendell. 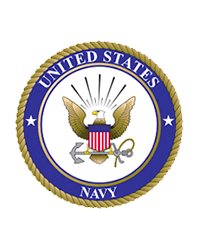 He was a US Navy veteran (1952-57), serving on the USS Salem in the boiler room as a steam engineer. He continued as a stationary engineer with various industries throughout his career, eventually retiring from Empire Detroit Steel in 1995. Additionally, he was a successful business owner of Nauvoo Knife Shop and later JJR Gun Shop in Portsmouth and Circleville for over 40 years. Homer was a 22 year member of the Ohio Gun Collector’s Association, and long-standing member of the NRA. He participated in gun education and safety programs. Homer was an avid outdoorsman. 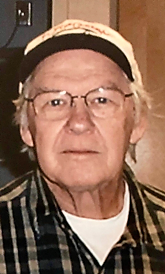 He spent many years farming, and enjoyed sports including hunting, fishing, football and baseball. He coached and sponsored several youth sports teams in the area. He loved nature and animals, and had many dogs as companions over his lifetime, remembering even his childhood pets well into his final years. He was an accomplished creative writer, and published 2 books of his own poems and ballads. He had selected works in many publications throughout the Appalachian region as well. He was active in the Phoenix Writers, Kentucky State Poetry Society and led many readings across the Tri-State area. He was involved in youth education for creative writing and well recognized within the writing community across many states. Homer’s unique sense of humor will be missed. His ability to speak with wisdom, using that distinct wit, touched all who knew him. Funeral services will be 3:00 PM Monday October 22, 2018 at the Roger W. Davis Funeral Home in West Portsmouth, officiated by his grandson, Jason Bailey. Burial will follow at Scioto Burial Park with graveside military rites by the James Dickey Post 23 American Legion. Visitation will be at the funeral home from 3 to 7:00 PM on Sunday and one hour prior to the service on Monday. Condolences may be sent to www.rogerwdavisfuneralhome.com.